Getting a perfect nutritional balance is important for the diet of every dog breed, but finding the best food for a Great Dane puppy can seem especially daunting! The first thing people think of when they picture Great Danes is their size. They can weigh from 110 pounds to a huge 175 pounds when fully grown! Finding the best food to feed a Great Dane puppy is important because it helps our pups to grow as big and strong as they’re meant to. Nutrition has really important links to our pets’ health too. So knowing the best Great Dane puppy diet is vital to keep our pets in top shape. Why is finding the best Great Dane puppy food so important? There are several key elements that make up a balanced diet for our pups. It’s important to get the best levels of protein, calcium, and so on. This helps ensure our Great Dane puppies are as healthy as possible. Studies have examined whether changes in the calcium and protein levels in a dog’s diet is linked to calcium metabolism and skeletal development. The results suggest calcium levels in Great Dane diets are inversely linked to the continuation of bone formation. So if the amount of calcium in their meals drops before they’ve finished growing, their bones will struggle to keep up. Also, dietary protein level has an affect on the body weight, growth and growth-hormone levels of our Great Dane puppies. So finding the best food for a Great Dane puppy is important! More than just the type of food should be considered, however. How much food should a Great Dane puppy eat? Great Danes grow to be up to 32 inches high at their shoulder. So you might think that feeding Great Dane puppy dogs as much food as possible will ensure they get enough nutrients. However, overnutrition can be just as harmful as undernutrition. Studies suggest overnutrition is linked to osteochondrosis – a condition of the joints that involves interruption of blood supply. However, conditions like osteochondrosis are not caused simply by nutrition, of course. Multiple factors contribute. But even a small influence means we should be aware of how much we feed our puppies! Another health condition that Great Dane puppies are prone to is Gastric Dilation Volvulus (GDV), more commonly known as gastric torsion, or bloat. This condition is potentially life-threatening, so it should be avoided at all costs. Great Danes are at greater risk of developing this condition due to their anatomy. Large dogs with deep chests are more prone to GDV than smaller breeds. Evidence from the Netherlands suggests that the risk factor for GDV may be reduced by feeding food particles larger than 30mm in size. This applies to dry kibble and home-prepared meat. You can also reduse the risk of GDV by dividing your dog food for Great Dane puppies into multiple smaller meals throughout the day, and using a slow feeder bowl. You should also avoid exercise too close to meals. How much do you feed a Great Dane puppy? If you’re still wondering, “How much food should a Great Dane puppy eat?” the best thing to do is consult your vet. Unfortunately there is no easy guide to tell us exactly how much to feed a Great Dane puppy, as they come in all shapes and sizes! 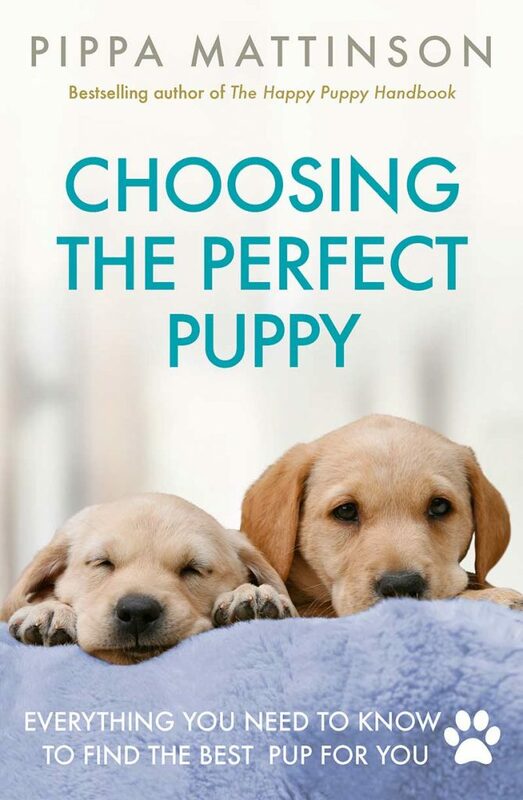 Discussing this with your vet is the best way to get an accurate amount for your own unique pup. Attending check-ups is another good way to make sure you’re providing your pet with the right amount. So, we’ve found out how to answer, “How much do you feed a Great Dane puppy?” But what is the best food for a Great Dane puppy? Perhaps you’ve come to this article looking for some great Great Dane puppy food recommendations! Maybe you’re looking for the best Great Dane puppy food brands you can splash out on to treat your pup. Or you might be looking for a cheaper option that still provides your baby with all of the nutrients he needs to grow strong and healthy. 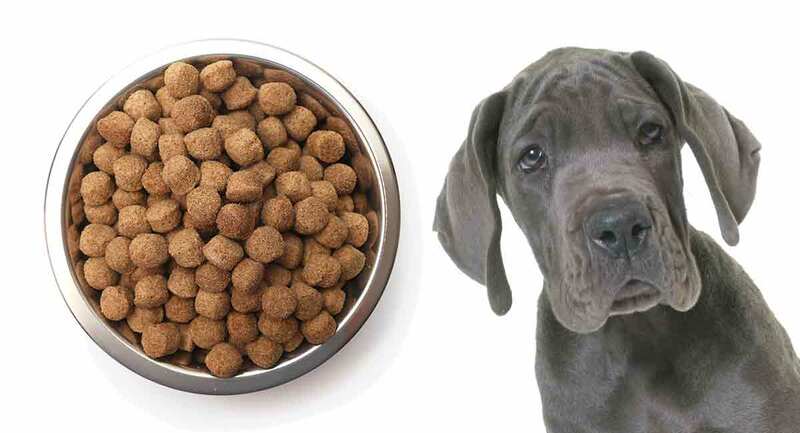 There are plenty of options of foods to feed your Great Dane puppy, from dry kibble to other nutrient-filled options. Most people choose dry dog food for their pets. But you might want something different. If so, there are some options, such as Rachael Ray’s Nutrish Natural Wet dog food. This consists of natural ingredients, with no corn, wheat, or artificial fillers. Wet dog food might be an option your dog will prefer, which can really help if you have a fussy pup! This may be a treat, especially if you choose to mix it with their dry food. However, wet food often comes in smaller packages. Therefore, you may end up having to spend more to keep up with your growing pup’s appetite. Your vet may recommend certain foods, but we all know dogs can be fussy! Let’s look through some options you can get online. Rachael Ray, who formulated the wet dog food above, also has a dry option in the Nutrish line. This has an impressive 4.5 out of 5 stars on Amazon from 1,125 reviews. Evidently, the food has been amazing for picky puppies! These bags of dry food can be anything from 6-40 lbs, and are made from natural ingredients with no fillers. It also has a handy recommended daily feeding chart based on the weight of your puppy, so you can see exactly how much you should be feeding your Great Dane pup! The price range varies depending on the size you get. So if you’re worried about the higher prices of specialist dog foods, this could be the perfect option for you. Another very highly rated Great Dane puppy food is Nutro Wholesome Essentials dry puppy food. This comes in specialised packs for smaller or larger breeds, so you can get puppy food designed for your larger pup. It comes in chicken or lamb flavor, and uses farm-raised meats. Nutro Wholesome Essentials also does a range of wet dog food, so if your dog loves the dry option, you can always mix things up a little! 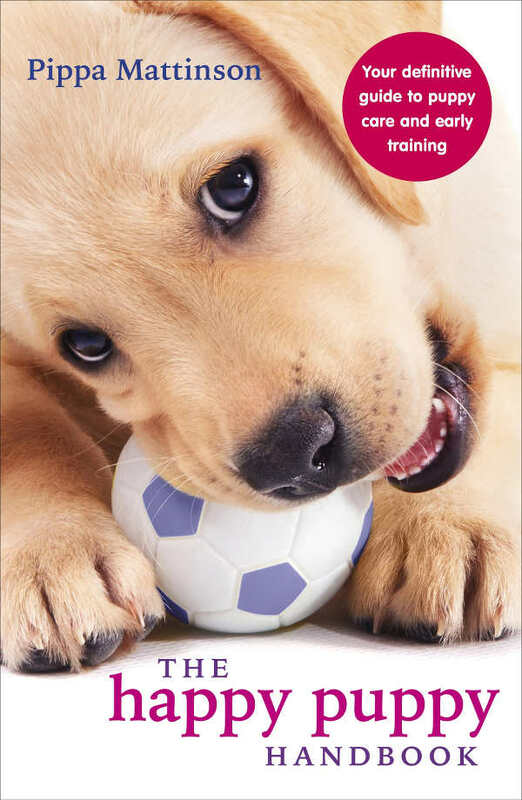 Another well-known brand for your Great Dane puppy food is Purina Pro Plan Focus puppy food designed for large breeds. This one is slightly more expensive than Nutro, costing just under $40 for an 18 lb bag. 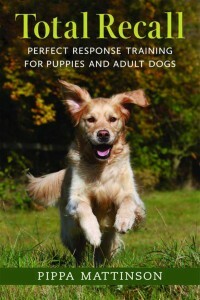 However, if you’re happy to pay more, the high ratings and reviews from users shows its popularity with many pups! Chicken is the main ingredient, meaning the food has a high level of protein. It also includes antioxidants and nutrients aimed at developing your pup’s immune system and joints and cartilage. Another option is Blue Buffalo Wilderness High Protein, Grain Free natural puppy food. This food has a blend of antioxidants, vitamins and minerals chosen by animal nutritionists to benefit our pups. This product claims to target brain and eye development, healthy muscle growth, strong bones, dental health, skin and coat health, and immune system development. It can be a little pricey, but this may be one your pup will love. If you’re feeling unsure about a lot of big-name brands, you might want to try something like the Taste of the Wild High Prairie puppy food. This dry food is made in the USA by a family-owned business. This is a grain-free formula that uses venison and bison. It has a handy feeding guideline chart based on age and weight so you know how much to feed your pup. Many reviews mention the strong meaty smell this food has, but most puppies have been proven to love it! If the cost is concerning to you, a final option you might want to try is Iams Proactive Health dry food for puppies. It has a formula specially tailored for large breeds and includes Omega-3 to promote a healthy brain. It can be hard to find the best food for a Great Dane puppy. What one dog loves, another might refuse to eat. You might want to try a specialist brand because of the high quality ingredients it uses. Or you may simply be looking for something cheaper but still high quality! We hope that your Great Dane puppy loves one of the diets we’ve suggested here. For more great tips and advice about feeding your pup, why not read our 5 Simple Rules For Feeding Your Puppy. Have you used any Great Dane puppy food that hasn’t been included here? If so, let us know in the comments what you’ve used and how you’ve found it. 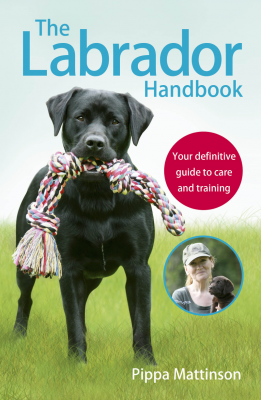 Or if you’ve used any of these, let us know if your dog liked them! Voorhout and Hazewinkel. 1987. “A Radiographic Study on the Development of the Antebrachium in Great Dane Pups on Different Calcium Intakes.” Veterinary Radiology. Nap et al. 1993.. “Age-related Plasma Concentrations of Growth Hormone (GH) and Insulin-like Growth Factor I(IGF-I) in Great Dane Pups Fed Different Dietary Levels of Protein.” Domestic Animal Endocrinology. Nap et al. 1991. “Growth and Skeletal Development in Great Dane Pups Fed Different Levels of Protein Intake.” The Journal of Nutrition. Hazewinkel et al. 1991. “Calcium Metabolism in Great Dane Dogs Fed Diets with Various Calcium and Phosphorus Levels.” The Journal of Nutrition. Theyse et al. 1998. “Small Size of Food Particles and Age as Risk Factors for Gastric Dilatation Volvulus in Great Danes.” The Veterinary Record. Schoenmakers et al. 2000. “Effects of Diets with Different Calcium and Phosphorus Contents on the Skeletal Development and Blood Chemistry of Growing Great Danes.” The Veterinary Record. Richardson and Zentek. 1998. “Nutrition and Osteochondrosis.” Veterinary Clinics of North America. Richardson 1992. “The Role of Nutrition in Canine Hip Dysplasia.” Veterinary Clinics of North America.